Transitioning back to ‘reality’ after a holiday can sometimes be an onerous challenge. We can vacillate between dreading the mountain of work which has piled up in our absence and bouncing back into it with a clear, rested head and newly found sense of enthusiasm. 1. Preparation. Let your clients, colleagues and contacts know you will be away well in advance. Clear out your inbox. Delegate work to your team as much as possible. Ensure deadlines are met before you go away. 2. Rest before return. If you are travelling long haul, try to allow an extra day to recover from jet lag. Going back to work exhausted defeats the purpose of a holiday. If that’s not possible, at least try to make your first day back at work lighter on the meetings front. 3. Tidy your office space. There’s nothing better than coming back to a clean and tidy office space – and your PA will thank you for it if they have to rifle through your desk for something. Schedule time to do this before you go – it will also make your return a welcome one. 4. Stay disconnected. This is always difficult for me – and I must admit this time I did work a little. But disconnecting from work altogether is often the best way to truly unwind and let go. If you are able to do this, then go for it. If not, try and put some boundaries around checking in on emails such as only at the beginning and the end of each day. 5. Get planning. If the reality of being back at work is really proving too much, start planning for your next one. Researchers from the Netherlands set out to measure the effect that vacations have on overall happiness and how long it lasts. The study, published in the journal Applied Research in Quality of Life, showed that the largest boost in happiness comes from the simple act of planning a vacation. In the study, the effect of vacation anticipation boosted happiness for eight weeks! 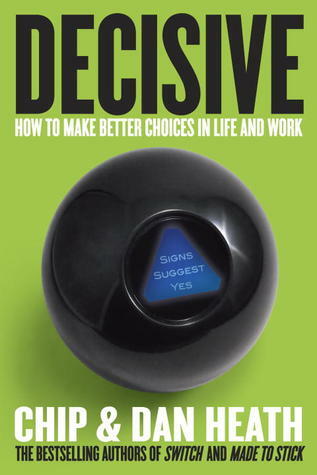 At the beginning of last week I announced that I would giveaway 5 copies of Decisive: How to Make Better Choices in Life and Work by Chip Heath and Dan Heath. Thanks so much to everyone who guessed where in the world I was, which was Vienna of course, and entered the competition.